Sending a fax is impossible, if you do not have a fax machine. Luckily, you can email to fax machine using an email to fax service. WiseFax email to fax service is a perfect solution, because it allows you to fax documents quickly, easily and securely using an email. Also, you don’t need a subscription to send fax from email using WiseFax email to fax service. Including a cover page to your fax is easy, too. Your email’s subject line will automatically become cover page’s subject, and email’s content will become the cover page’s message. If you do not want to attach the cover page, just leave the email’s subject line empty. 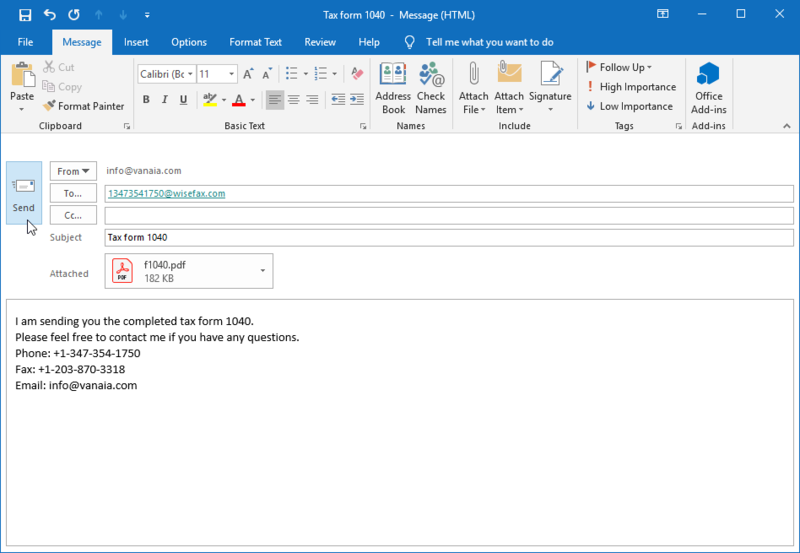 Sending email to fax machine is so easy! 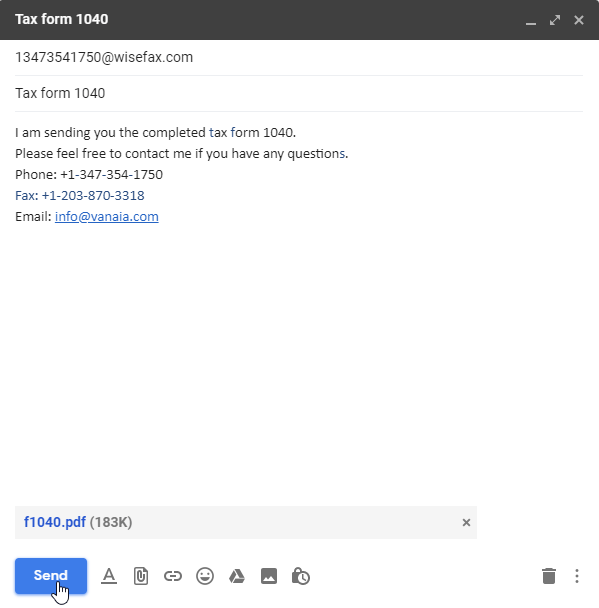 If for some reason WiseFax will be unable to send email to fax machine (for example if the recipient’s line will be temporarily unreachable or busy), then you will also receive an e-mail notification from WiseFax. You will then be able to fax your document once again later without purchasing additional fax tokens.